We are adventurers ready to leap with you into your dreams! The foundation of everything we do is about giving and receiving love! Our purpose is to share our passion for life with you by living our passion striving everyday to create products, provides services and to share wisdom that will touch your life and heart inspiring you to reach for and achieve everything you every dreamed of. Shaine Ebrahimi, Founder, Creator & Owner of Shaboomee Since the mid 1980’s Mary Sundblom, Creative Director & Adventuress Libby Selikoff, Buyer, Director Of Sales & Adventuress Buddha Love Dog & Rowan Love Dog - Shaboomee Adventure Dogs! 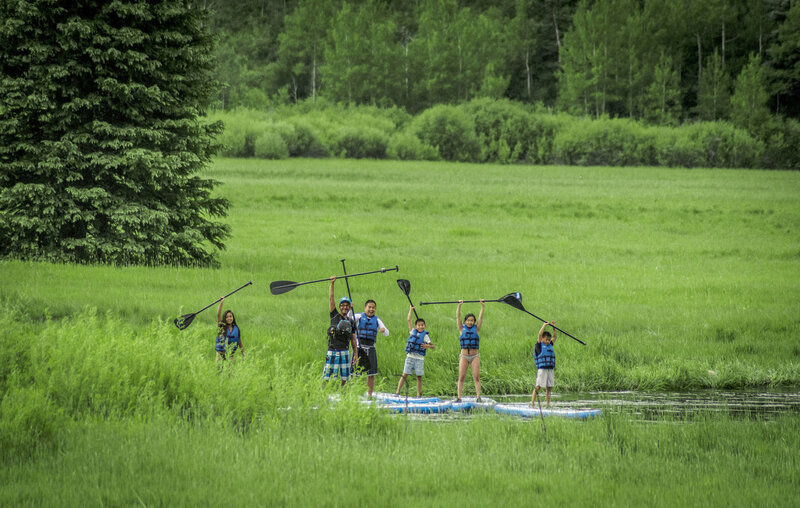 Enjoy the beauty of a spectacular meandering high alpine river sanctuary just outside the heart of Aspen; and if desired, you can learn some SUP skills too! Your magical SUP float will take you through pristine beauty! your boards will be ready to go. If you would like we will carry them down to the water and help you get on the sup. We will be waiting for you at the takeout ready to pull your gear out of the water. An effortless adventure awaits!! 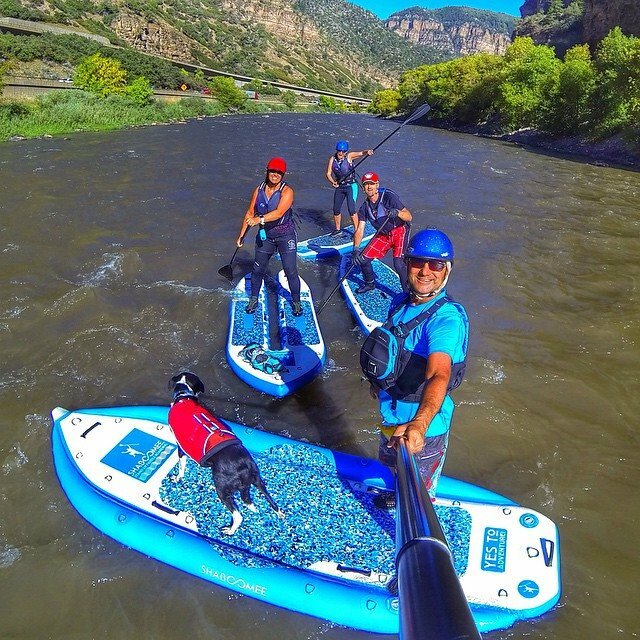 If you would like to add private instruction, your lesson will be taught by on it certified SUP instructors, our tours allow you to relish in the wonder of our Rocky Mountains paradise floating in style on our Colorado designed paddle boards. 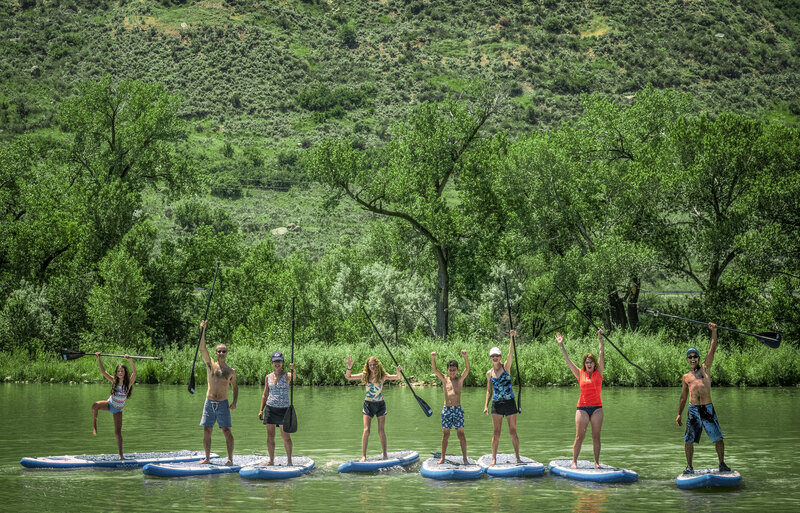 Float Tours & Elite Instruction- Delight in the thrill of our Rocky Mountains paradise and challenge yourself with an adventurous trip down the river on our Colorado designed paddle boards- with elite level instructors. Whether floating the scenic & wildlife rich Roaring Fork River or the iconic & picturesque Colorado river, this is the perfect chance to enjoy an exciting river run with safety & fun first!